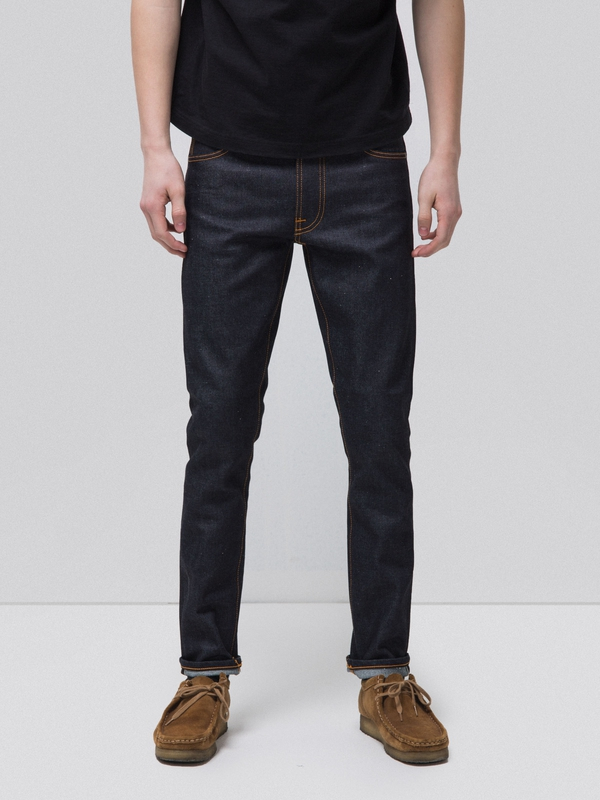 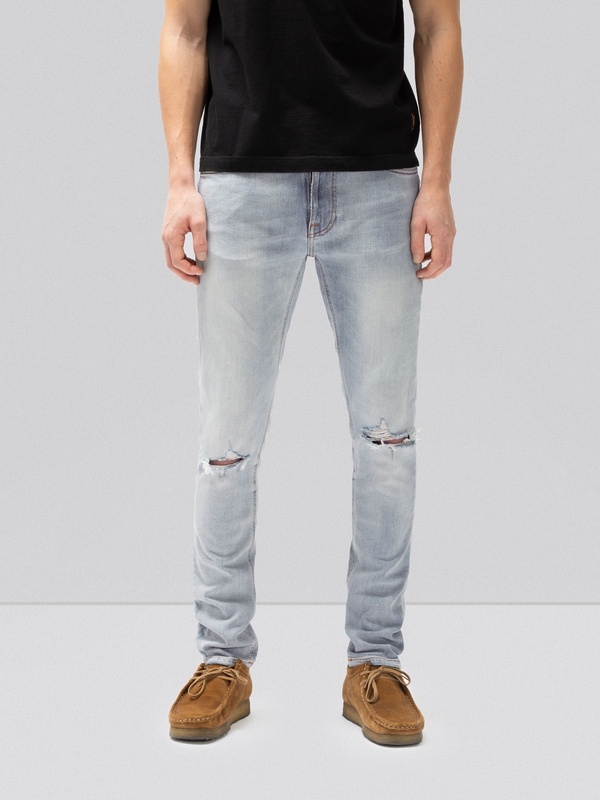 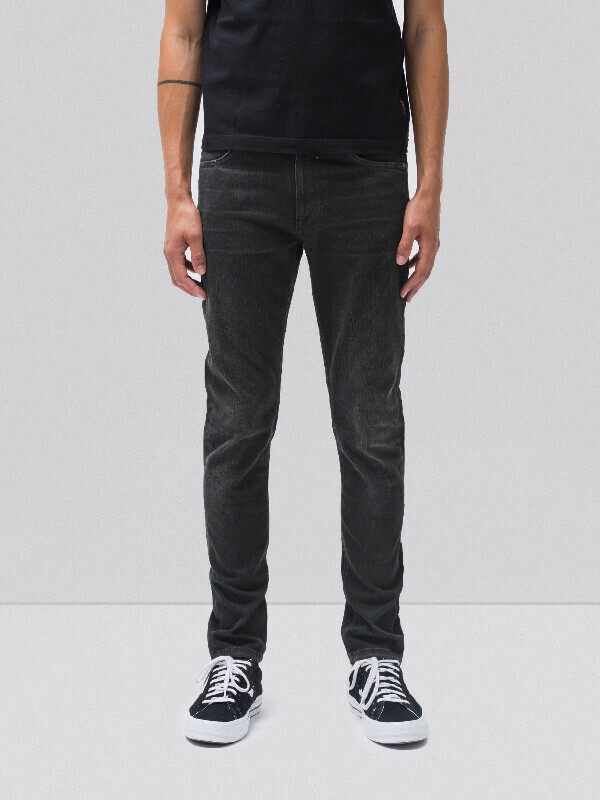 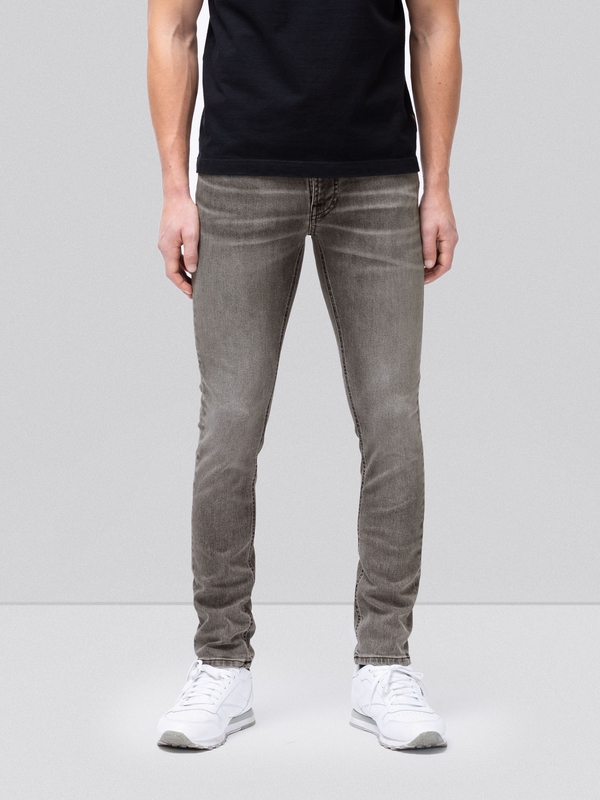 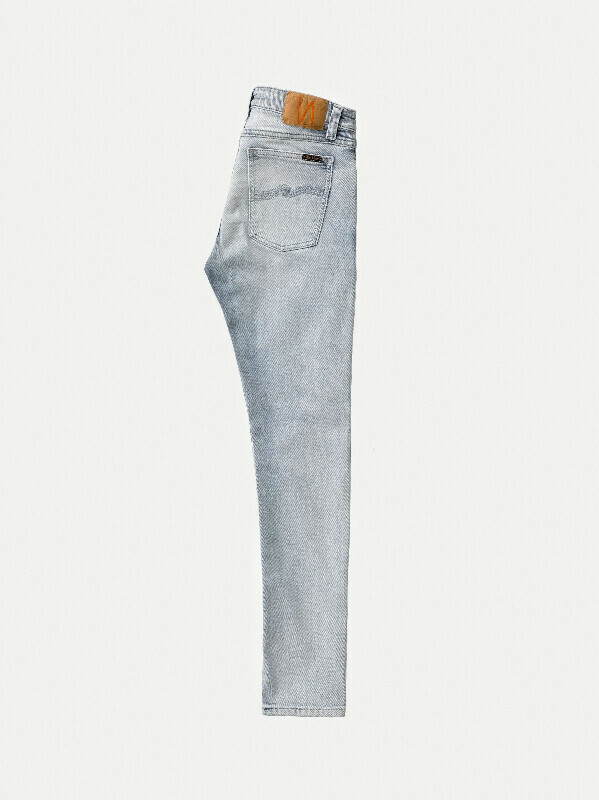 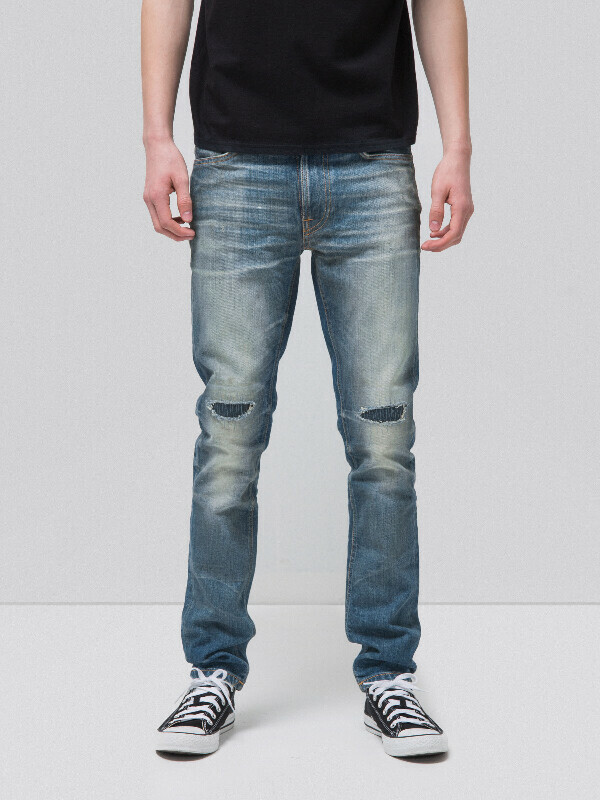 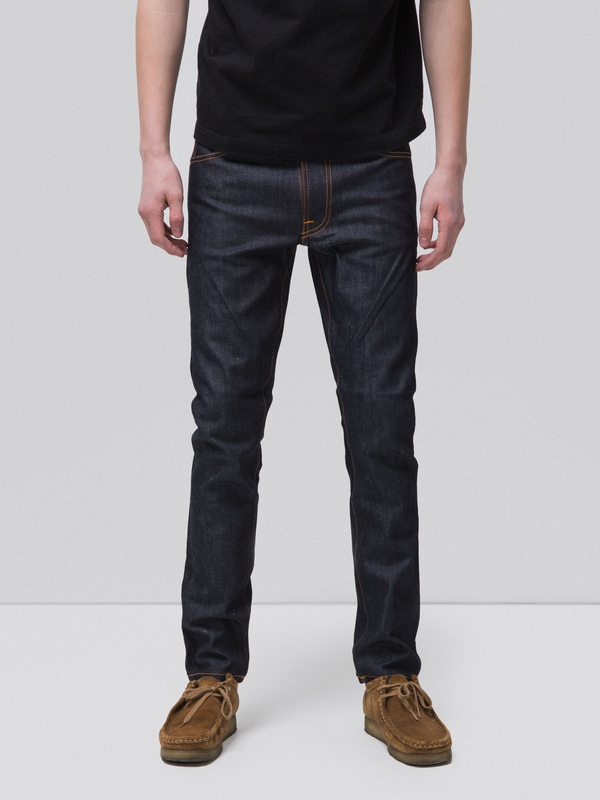 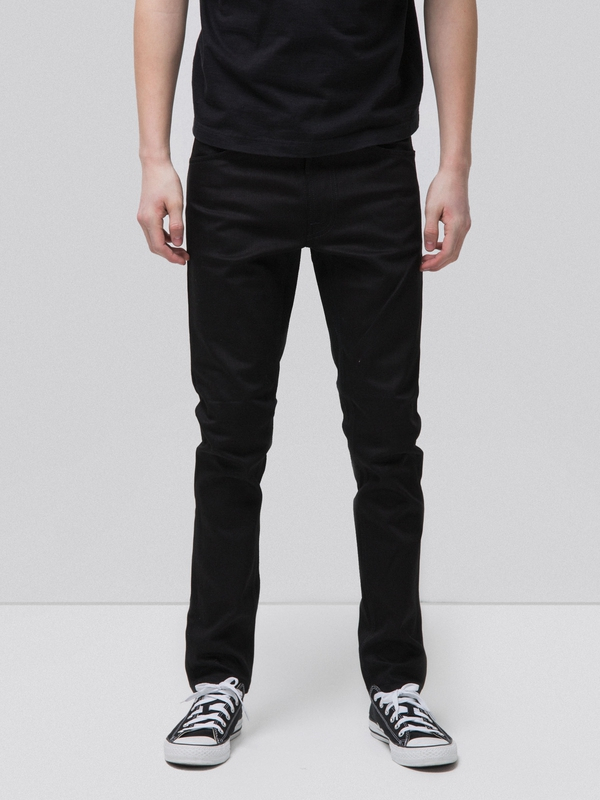 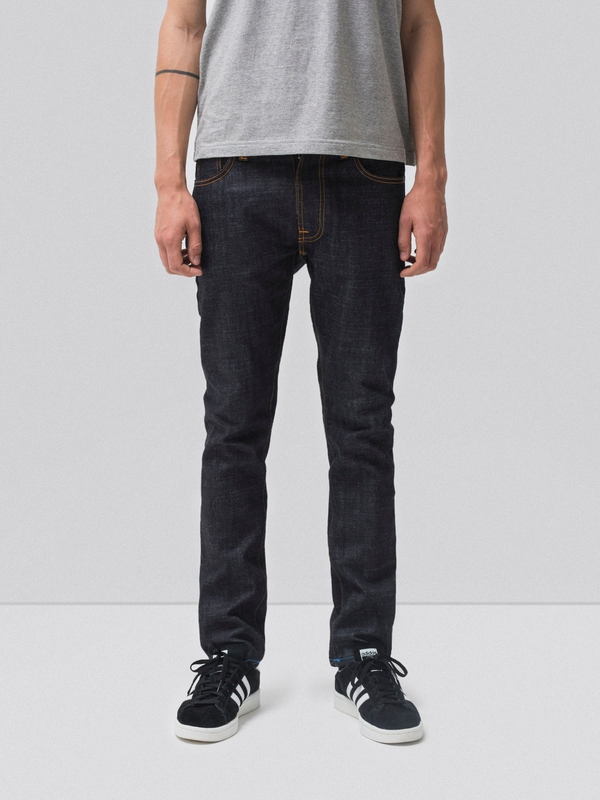 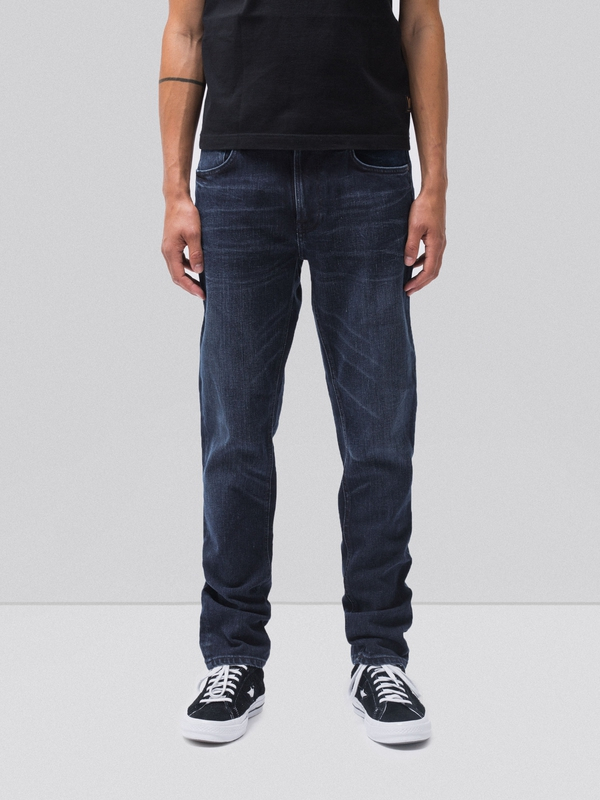 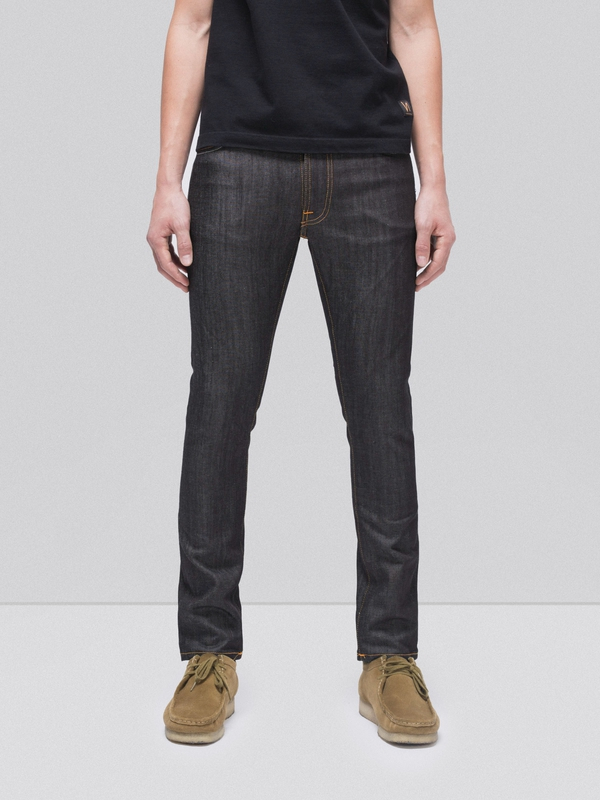 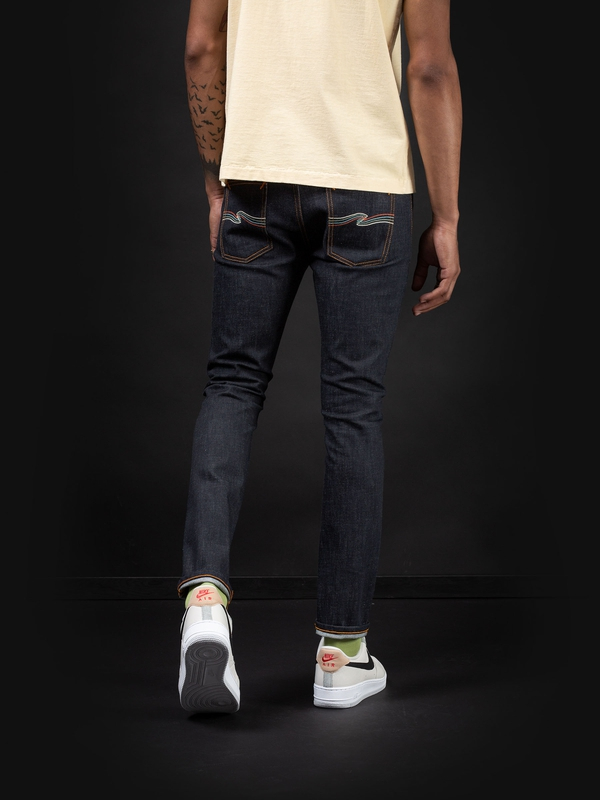 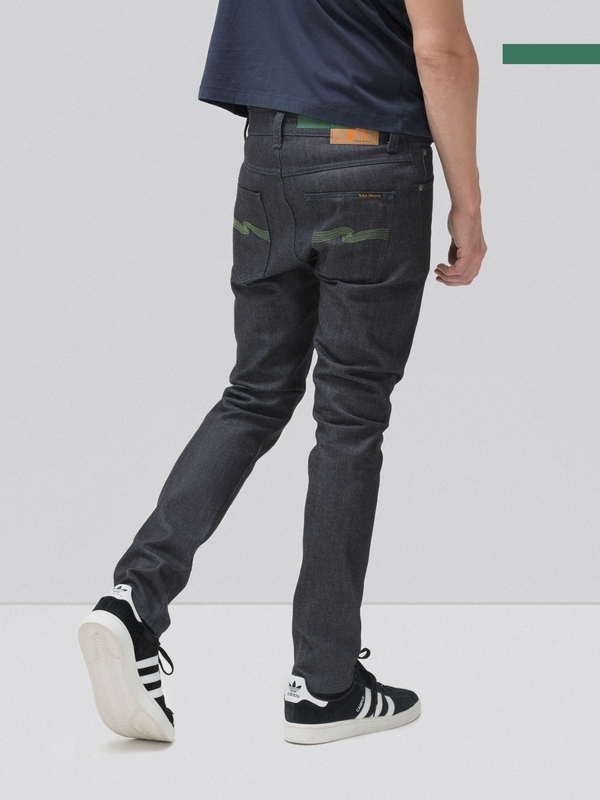 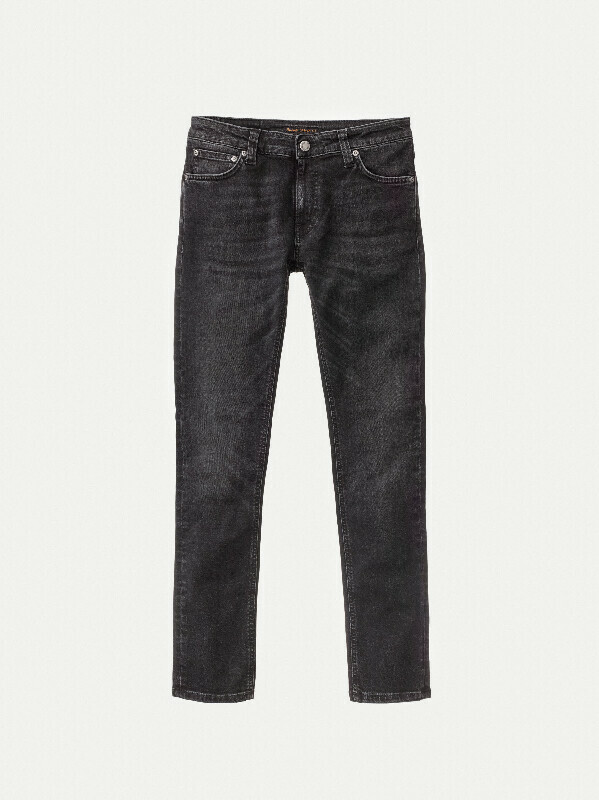 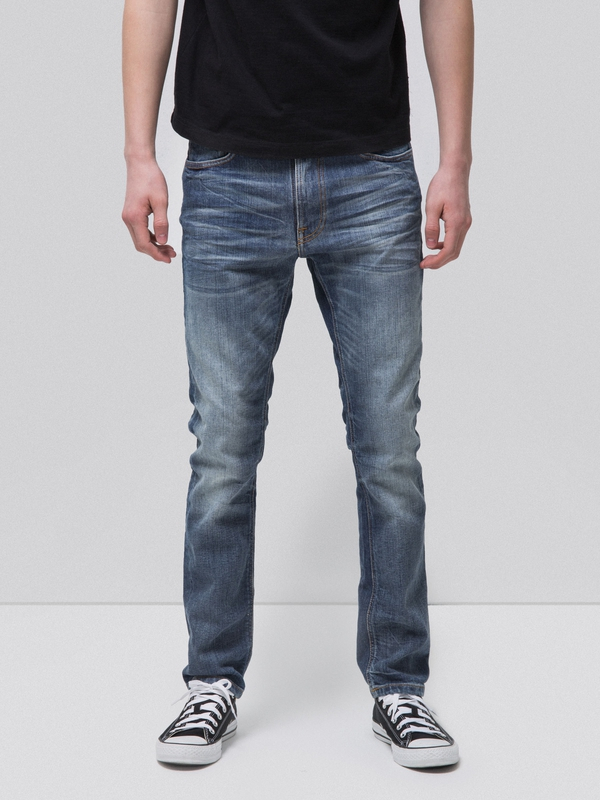 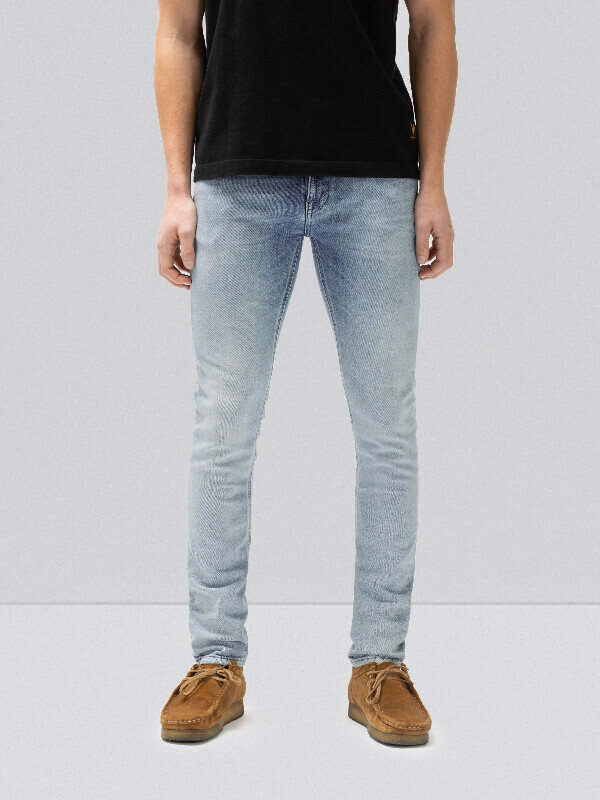 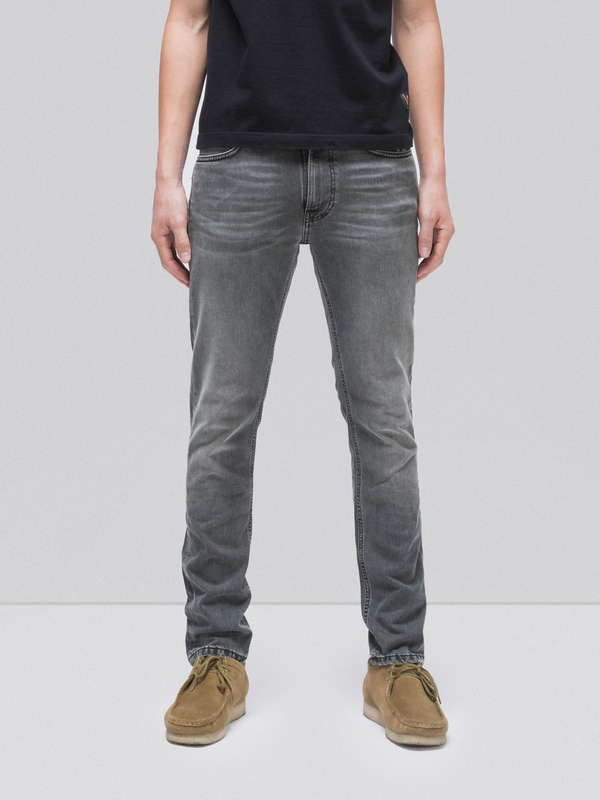 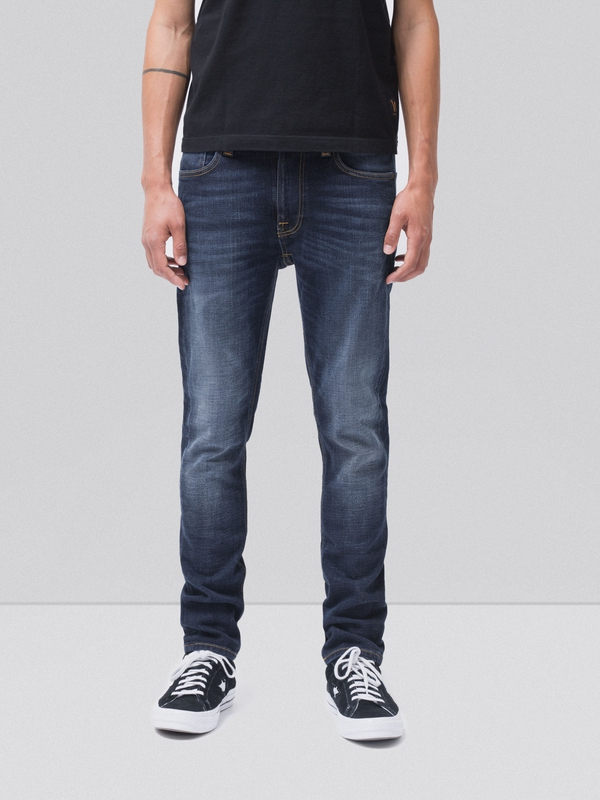 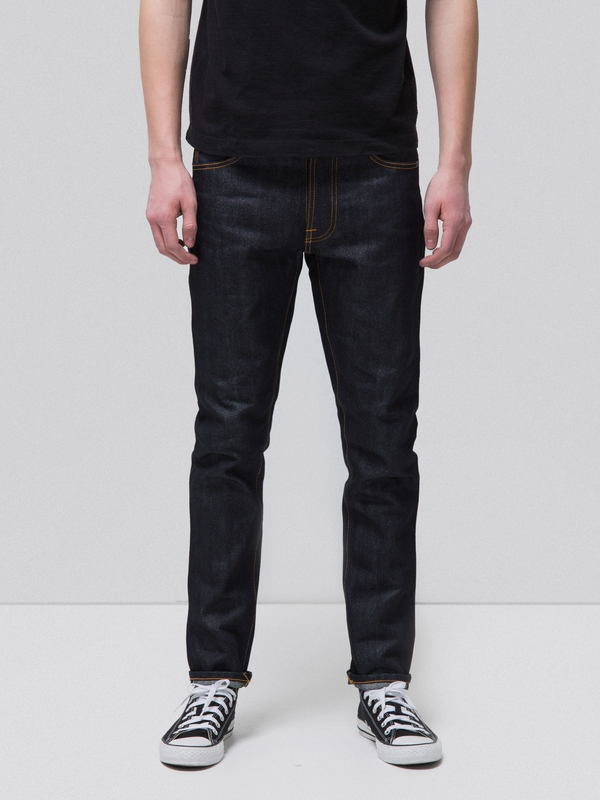 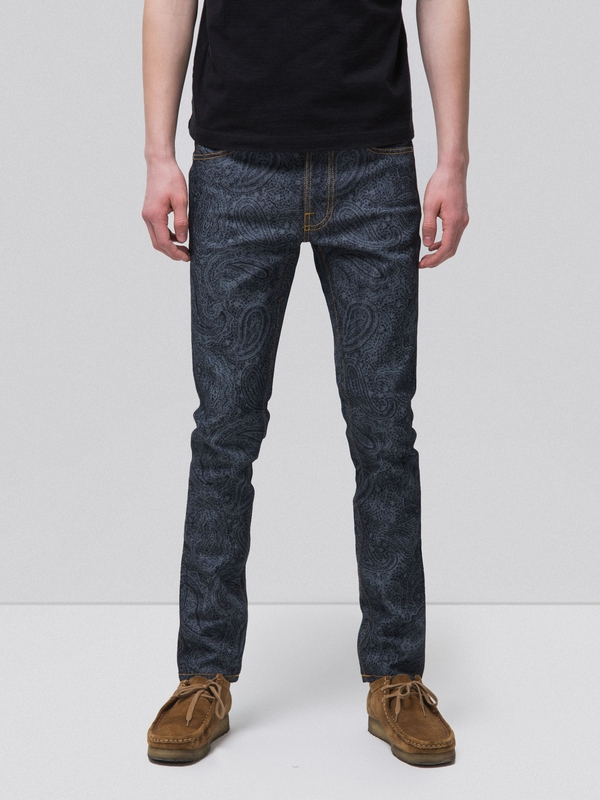 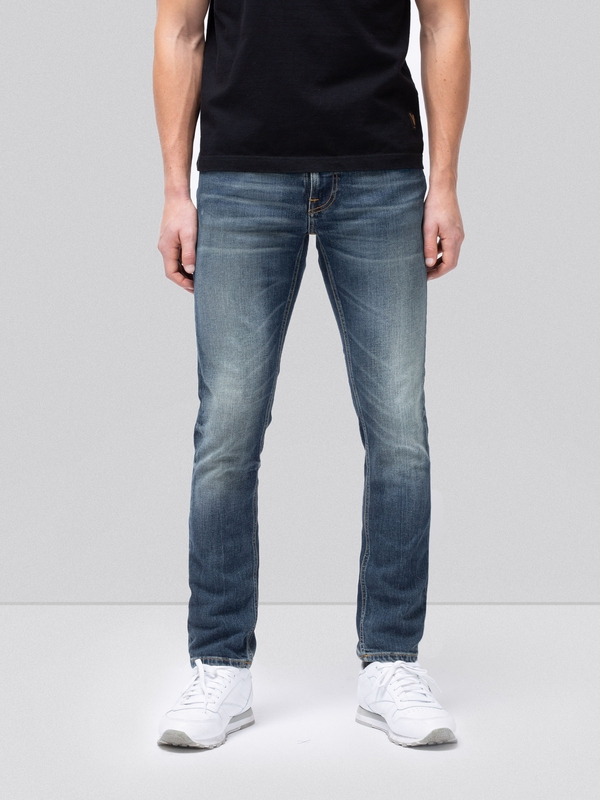 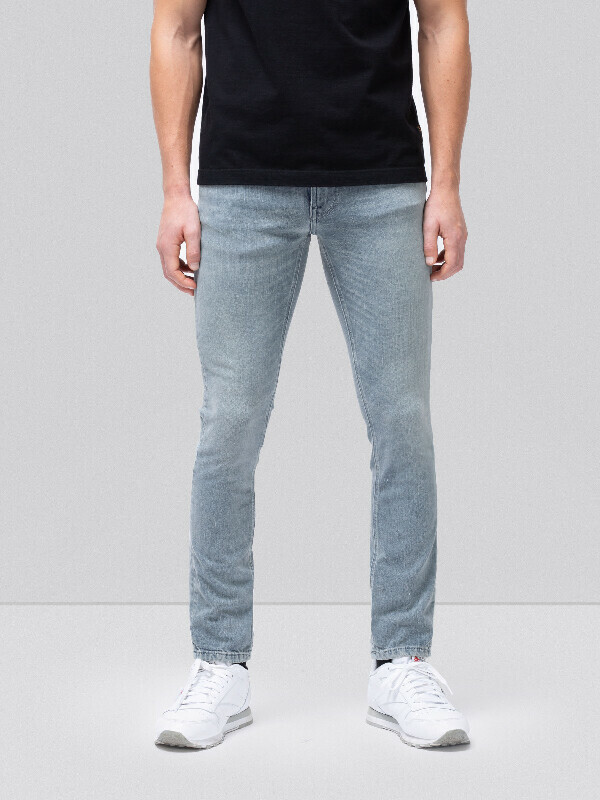 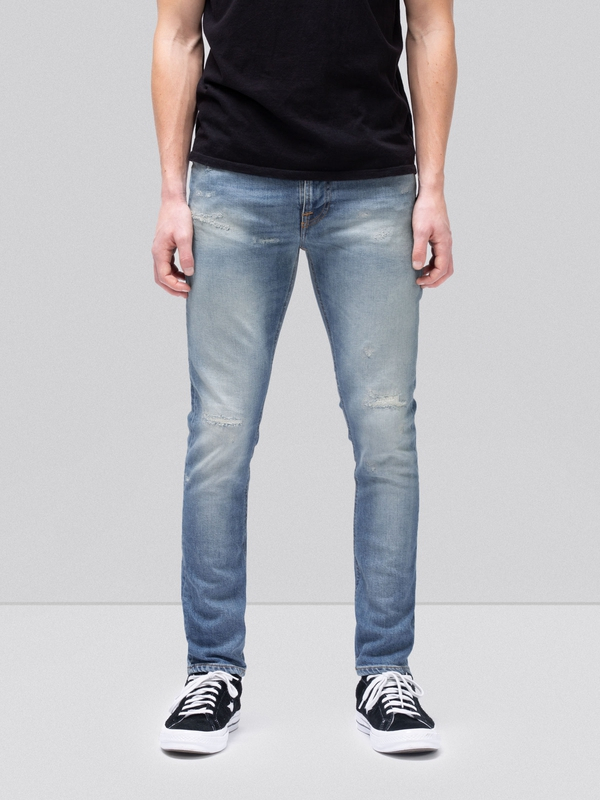 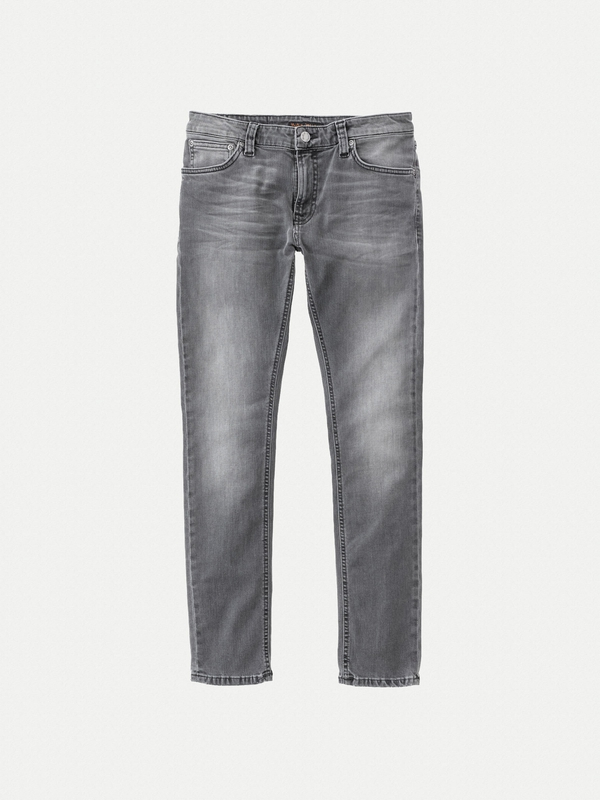 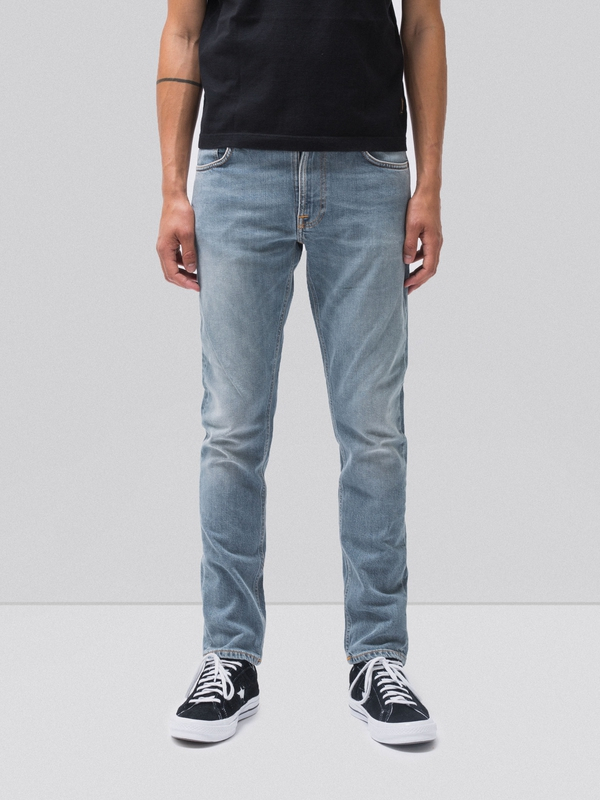 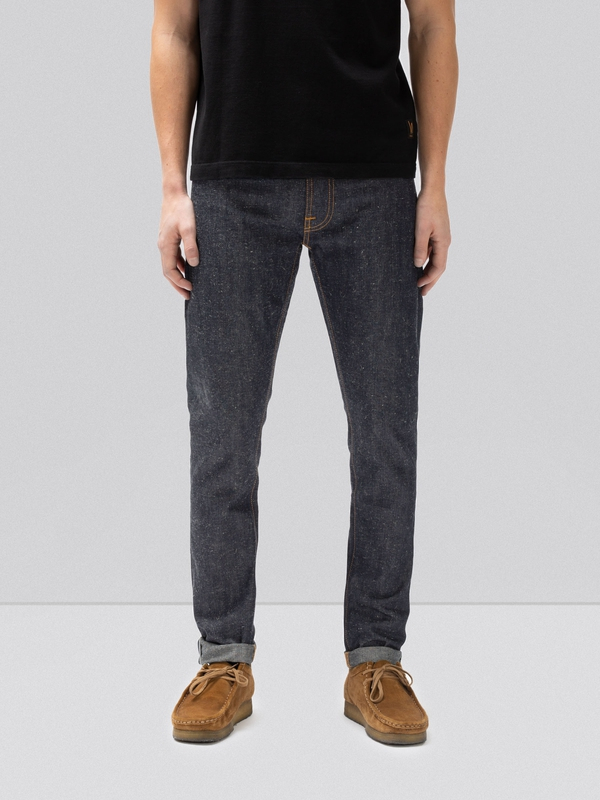 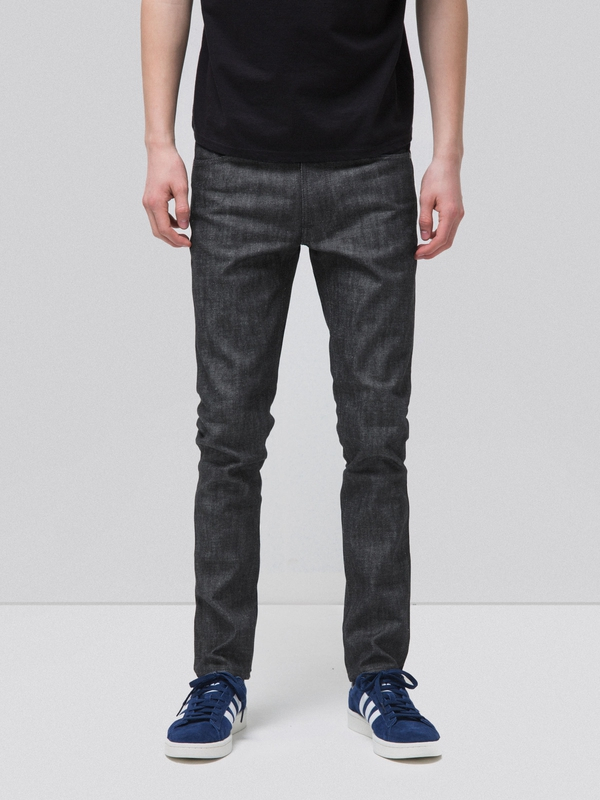 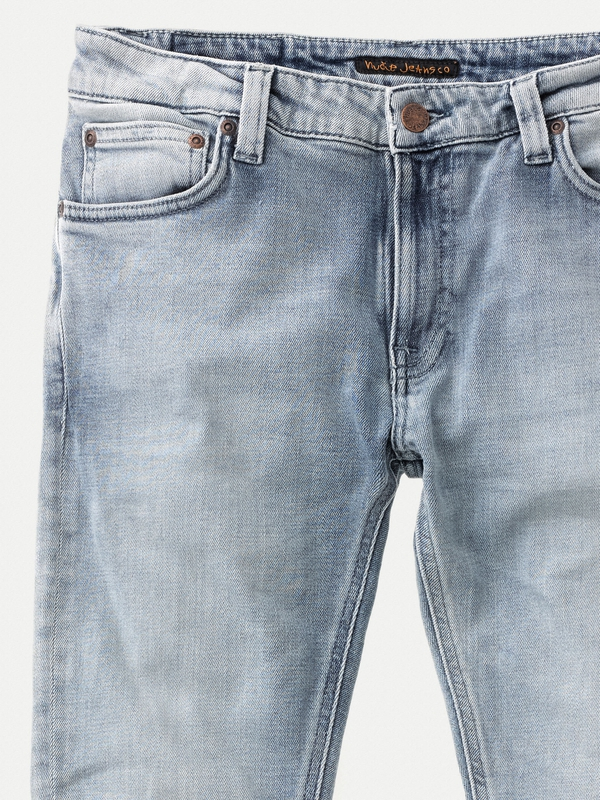 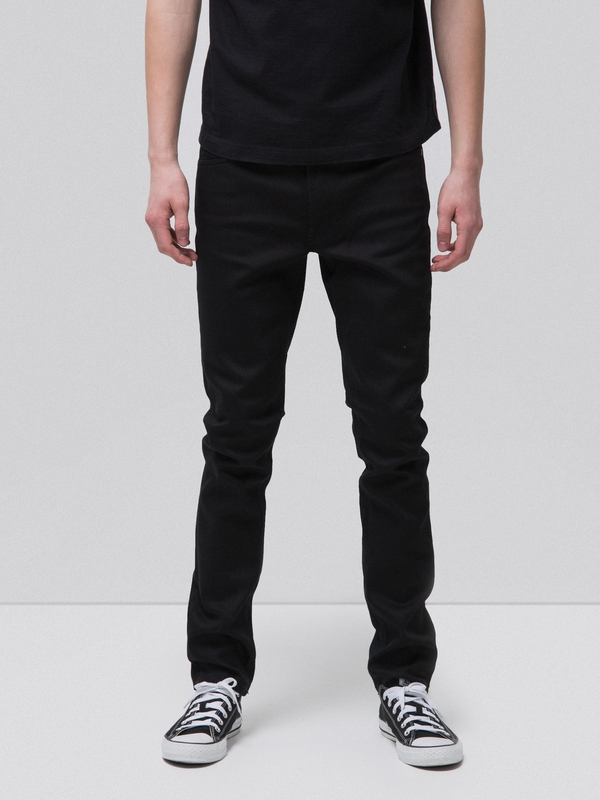 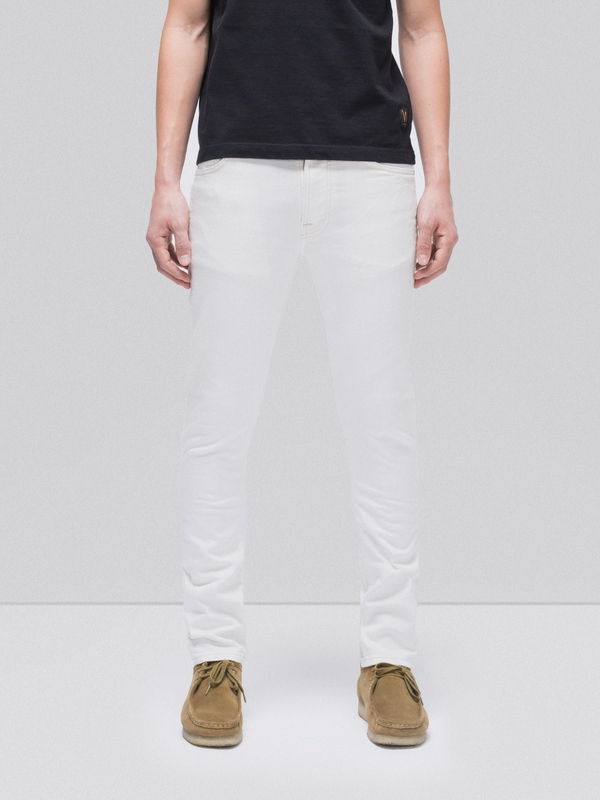 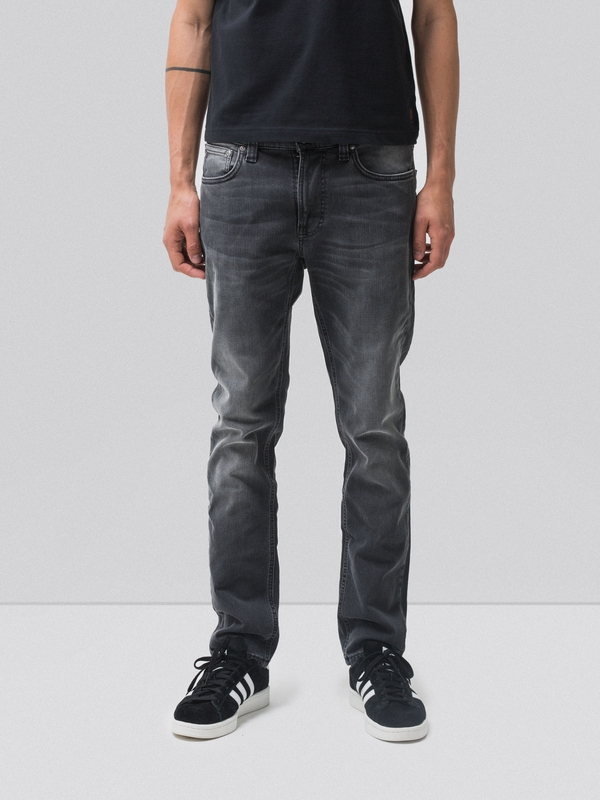 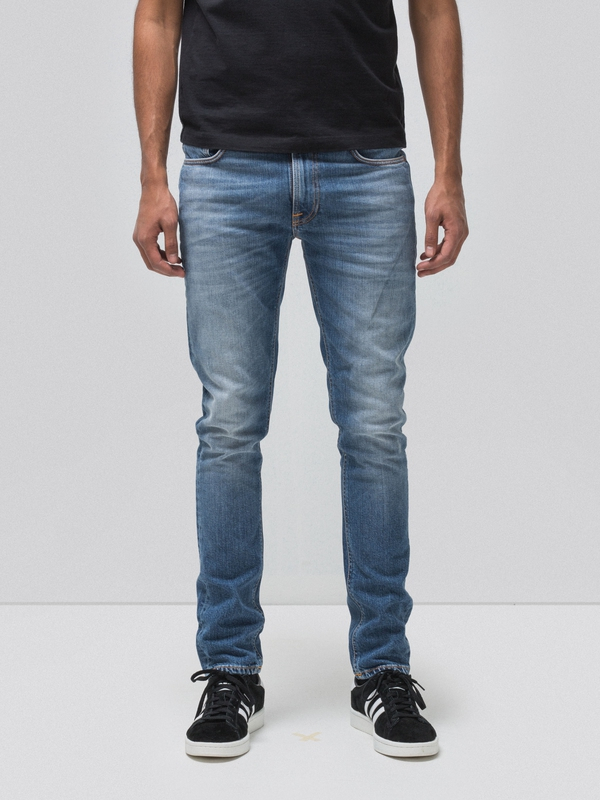 Jeans made in power stretch denim. 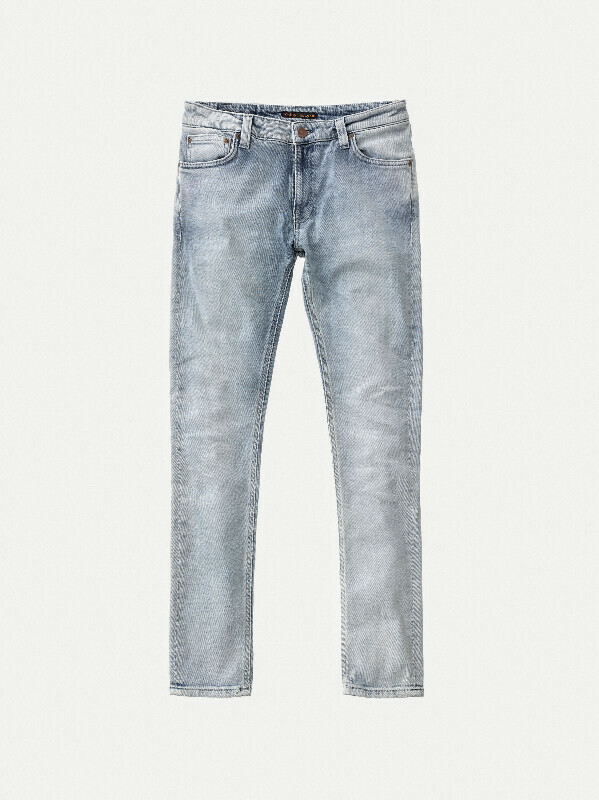 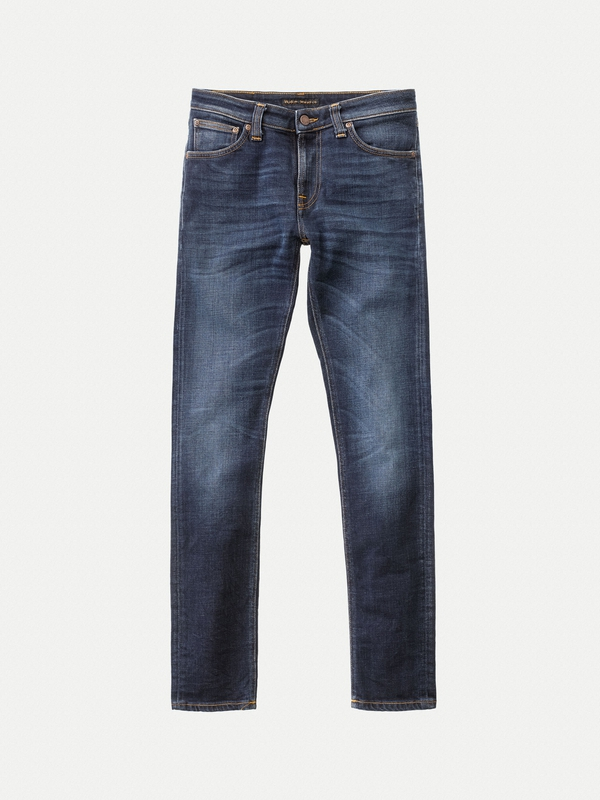 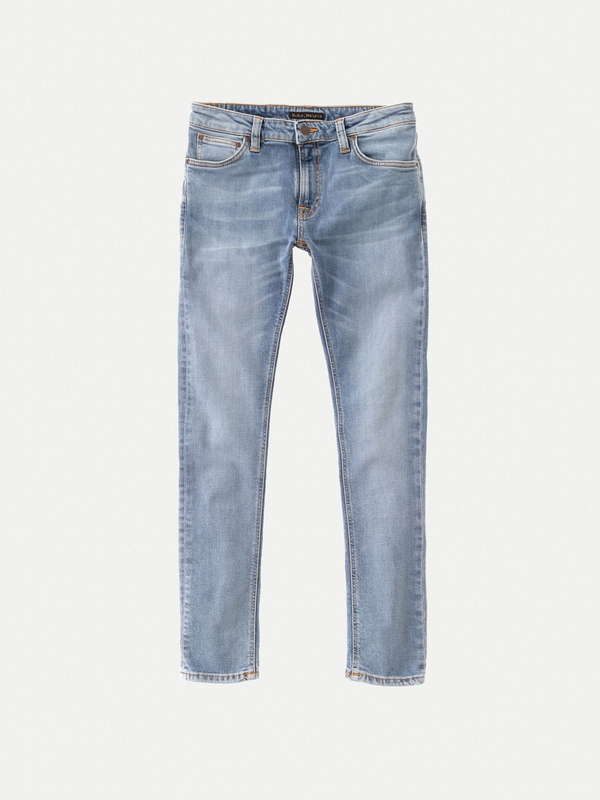 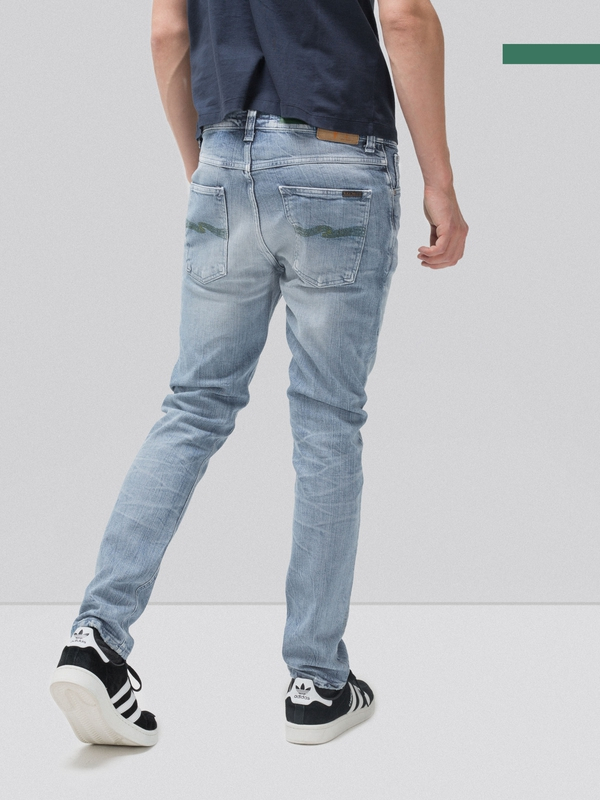 These jeans, and its indigo dyed threads, have been washed to an bright blue color, thanks to the clear twill structure of the denim and puckering at seams the darker indigo tones remain, giving these bright blues a very nice depth. 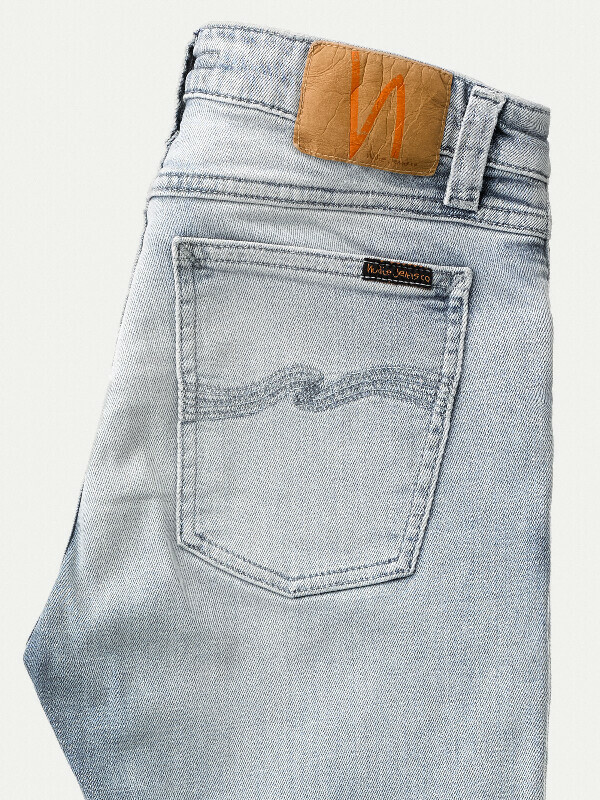 Model is wearing size: W31" L30"